Two weeks prior to the event I received a phone call, confirming my participation in what would be my first African Championship. Naturally, my excitement was profound and I couldn’t believe the luck that was handed to me on a silver platter. Prior to the call I was to wait another year for this opportunity, hoping to be better prepared and more experienced. Describing how I felt at that moment, would lead to words leaping in every direction. The long 40-hour journey to Oran, Algeria commenced three days before the tournament began. Some flights were delayed, dragging on the hours. Making matters worse, as we left Dubai, my phone was stolen, right from under my nose. 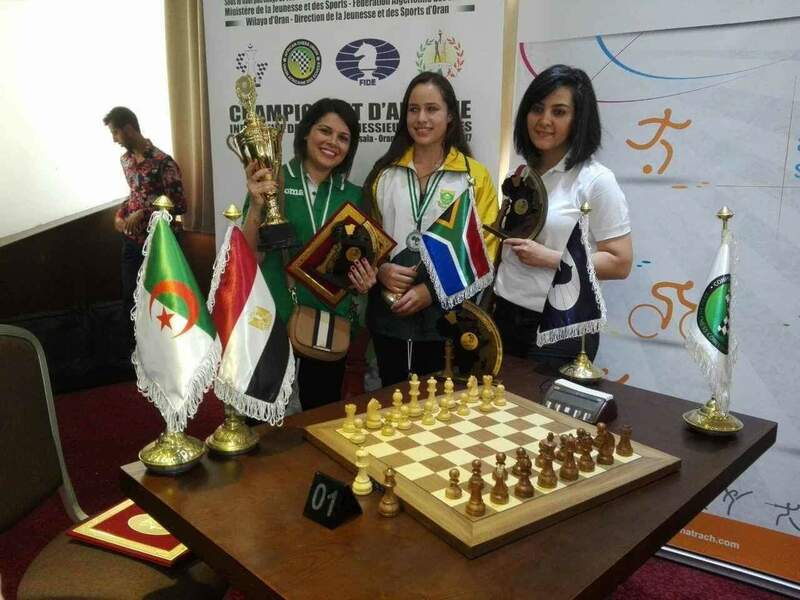 The African Individual Championship felt as though I was in a realm of gods and goddesses. Surrounded by what seemed like countless masters from all over Africa. It felt like one of those crystal-clear dreams with the cloudy borders and twinkling lights, like the ones you see in movies. Nothing felt real until I picked up my first piece. Day one of the tournament began and my nerves were rattled at the prospect of the pairings. Half an hour before the start of the round the draw was released. 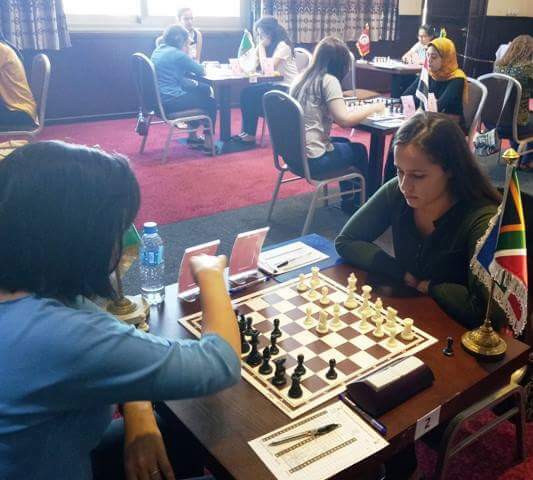 I was paired against Woman Grand Master Mona Khaled, Africa’s number one female player. I was shattered that I had no time to prepare for the game. All I could do was calm myself and prepare mentally for the long haul. 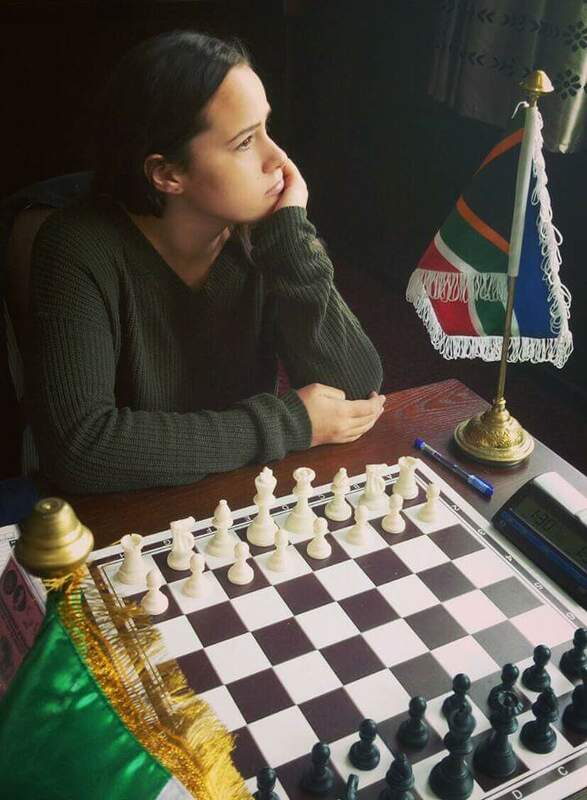 I took white pieces and decided on a solid Italian game, after which she dropped a pawn. I was almost certain there was something in the position that I was missing, but after a few more exchanges there was no compensation. I knew I had to be accurate if I wanted to retain the advantage and so I made myself comfortable, because I knew the game wasn’t close to reaching its end. My time withered down and I had to think fast. At last, she caved and I emerged victorious. The handshake sealed the deal. Everything became blurry, my heart was beating faster, my hands were trembling more and suddenly there wasn’t any air in the room left to breathe. It wasn’t until I had left the playing hall that I felt a massive wave of chills down my spine. I couldn’t ingest what had just happened, to me. The feedback after the game was uncanny. I remember each remark, each comment; it echoed after each mistake I made in that tournament. I had to keep straight-face, there was no way I was going to make it out alive if I involved my emotions. 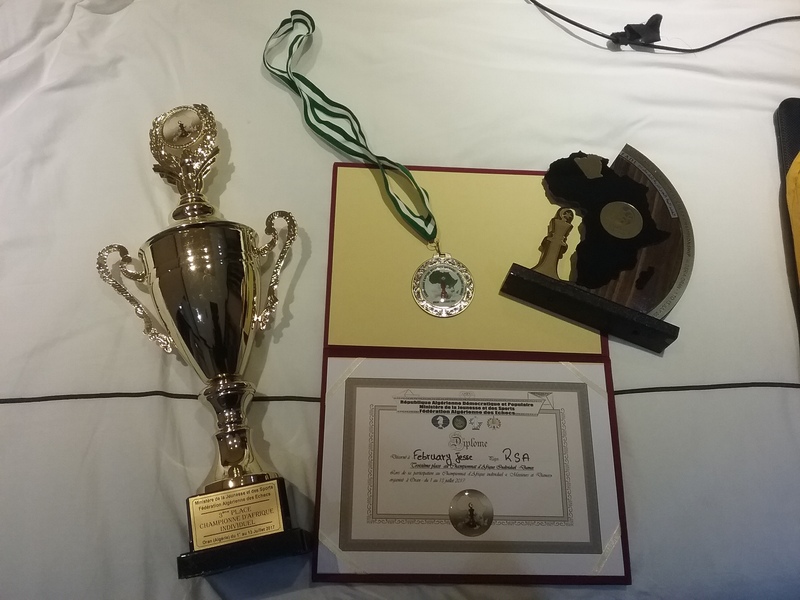 It felt as though I had played a whole tournament in just one day, but it was only the beginning. Of course, the following round, I was feeling more nervous but more determined at the same time. Every pairing became more difficult than the last, as expectations rose. Eventually I was on 3/3. By then I had exceeded any goals I had set for myself. My eyes were now set on the title and world cup spot. I kept putting unnecessary weights on my shoulders. I needed to be level-headed for the game that followed. Shahenda Wafa, Egypt, round four: We were both on full score. I would’ve had a clear shot at first if I won the game. Reaching the endgame, all my resources were exhausted. I was exhausted. On the winning end, I messed up a single move, equalizing the position, I was devastated but also relieved the fight wasn’t over, yet. As the days went on, I had some good wins and terrible losses. Two weeks have never gone by so slowly. The battle continued right until the last round which became an absolutely crucial win for me. During the game, somewhere I got lost and forgot what I was playing for. It was a strange feeling to not put any pressure on myself. Already, with eight rounds gone, I had felt a sense of accomplishment. I remembered why I was there. I remembered that all I wanted was to make a name for myself. I knew that it wasn’t going to be a walk in the park. The tournament pulled on every string of energy I had. During the tournament I had felt so alone. It put a test to everything I was, and whether I was strong enough. I started searching. I found the chess player that had a passion for the game. Along the way I ran out of reasons why I was still playing; but I never really needed one. I won my last game. It was a beautiful finish. Exiting the hall was like walking out of a war that I’ve won. 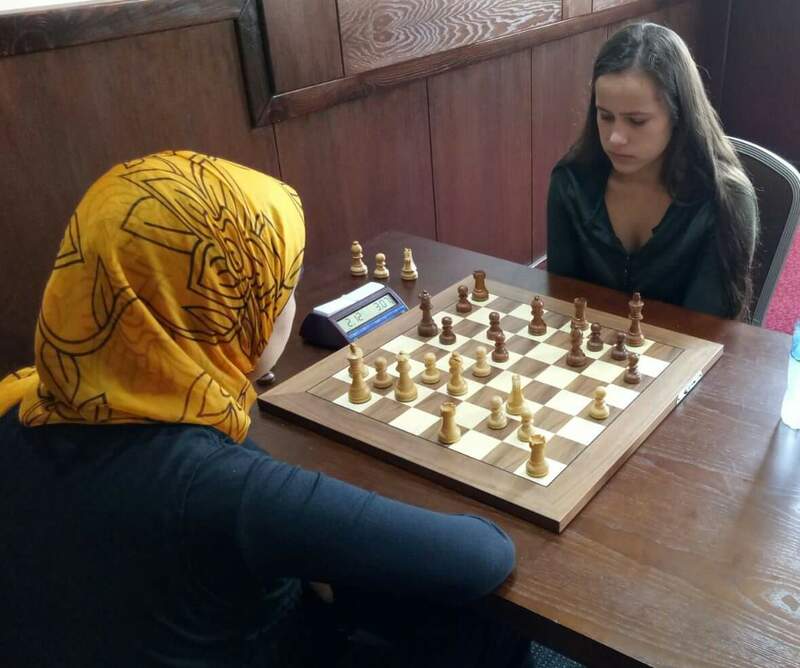 Nine Rounds of chess seemed like a marathon of games: every obstacle tougher than the last. Finishing third on tie-break, I received a Woman’s World Championship spot and Woman’s Grand Master norm. I left a winner, because I proved myself wrong. Anything is possible. Many people say I could have done a little better, pushed a little harder; but where’s the fun in that? Next year, I’ll be back for more. How does one achieve grandmaster title? A grand master title is the highest honor for any chess player. This title is awarded to only the best in the world. Amongst millions of chess enthusiasts, there are less than 2000 Grand masters at current. To explain I shall start by defining a ‘chess rating’. A rating (otherwise known as ‘Elo’) is a measurement used to determine the strength of a player. The higher your rating, the better you are considered to be. By winning games, you are awarded rating points. By losing, your rating will decrease by a certain amount depending upon how strong or weak your opponent was (if your opponent was stronger than you, then your rating will decrease by less in comparison to having lost against someone much weaker than you are). At present my rating is 1927 national and 1900 international. This places 1st amongst all women in South Africa as well as 6th in the ‘open junior’ category South Africa (boys and girls up to age 20). A grand master, on the other hand would require a rating of 2500 to attain that title. This alongside 3 Grand master Norms would qualify one for a Grand master title. 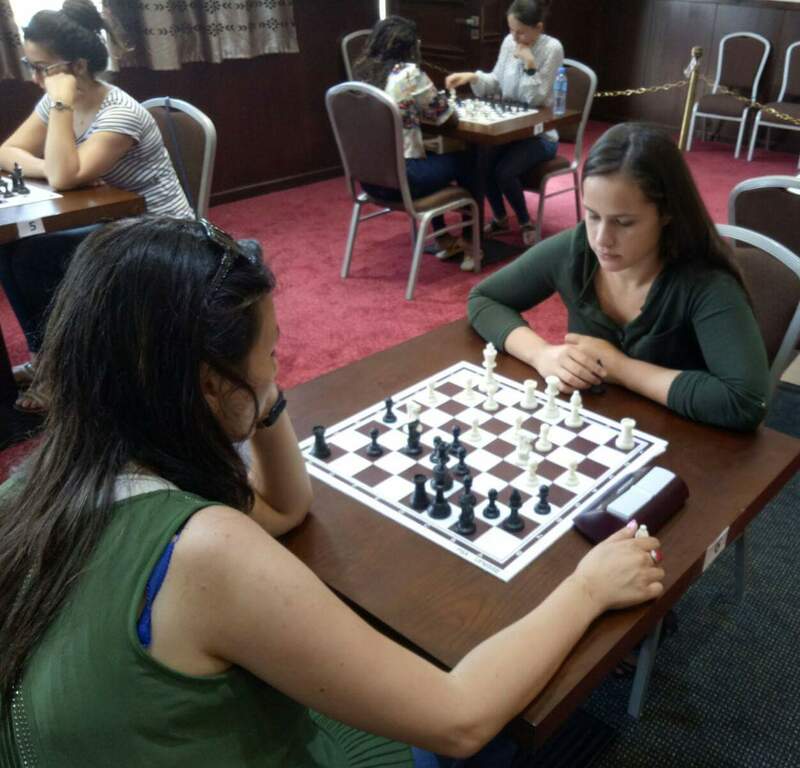 I was invited to participate in this tournament in July and took part. If I come first I will be awarded with the title: Woman Grand Master. Highest title. (With no need of rating or norm qualification). How are you one step away and what would it mean? WIM (woman international master) – awarded earlier this month, May 2016. Above you will see the level of titles, from lowest to highest. “One step away” simply means that there is no title between the one I have and the Grand Master title. Any improvement would just mean my chances of attaining this title is stronger. What does it mean to be a Grand Master? This title is recognized as a high honor and can be beneficial when searching for sponsors etc. We have only one Grand Master and one Woman Grand Master in South Africa. It is my goal to change these figures. I once read: “I have no desire to play the game of being better than anyone. I just aim to improve, to be better than I was before.” This struck me as an incredibly true statement. Often, so many people are caught up in the realm of competition. They base their efforts upon how others perform forgetting about the importance of self-improvement. I have found myself guilty of this on several occasions. It isn’t easy recognizing this mistake, but ever since, I have based my training upon improving my own skills instead of attempting to beat my opponents rating records.